Bay Area commuters are now seeing the faces and stories of hidden California—stories of farmers, amateur boxers and rodeo riders, even a young cowgirl. The images are in advertising spaces on BART trains, part of a new public information campaign and art exhibit aimed at connecting urban residents with rural life in California. It’s a place I know well, where my own writing and photography takes place, it’s my laboratory, inspiration and heritage. It’s a place I wish every Californian knew better and honored. But, in the bustle of the city, I know it’s easy to forget the backbone of our state, the hands that bring us food and the bodies that tend our landscape, use and protect our natural resources. 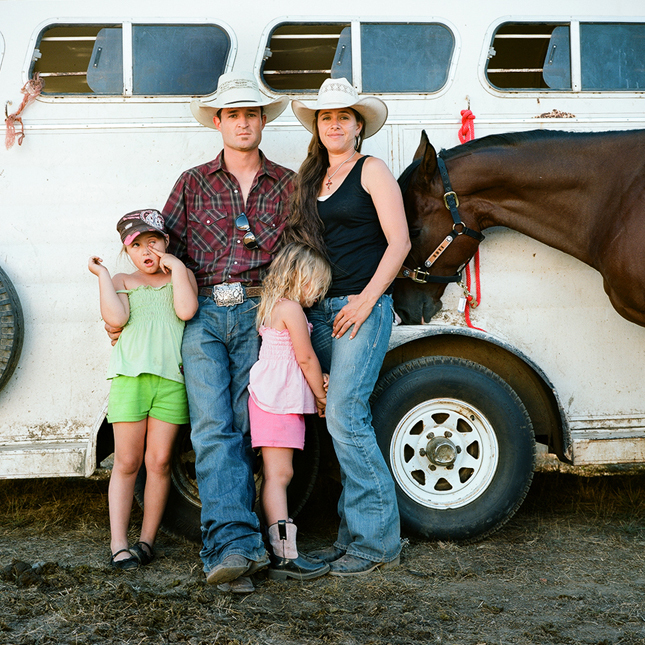 Lisa Hamilton’s project Real Rural is important to me because I’ve always lived in the two Californias. As a child I lived on family ranches in Marin and Lake counties and grew up in San Francisco, the Golden Gate Bridge spanning my worlds. Today, I live in Sacramento and crisscross the state, moving between urban and rural to tell stories about agriculture and the environment, puttering in my home garden and walking the state’s fields, vineyards and orchards. “Real Rural: Stories from the Rest of California” is a collaboration between writer and photographer Lisa Hamilton and the nonprofit organizations Roots of Change, the Bill Lane Center for the American West, the California Historical Society, and the Creative Work Fund (a project of the Walter and Elise Haas Fund), which supports artists working in the nine Bay Area counties. Real Rural is a portrait of California’s rural communities—what Hamilton calls with some irony “The rest of California.” Combining photography, writing, and oral histories, the project illustrates that rural California is not simply “the rest” of the state, but in fact is a place of surprising depth and diversity. The multimedia portraits she has made bring that rural life to the urban public, in hopes of connecting the two on a basic, human level. 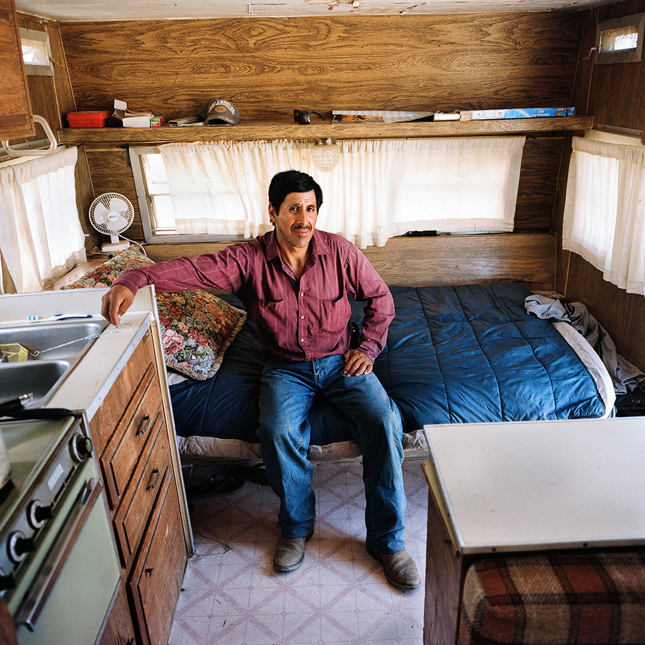 Hamilton spent much of 2011 crisscrossing nearly 10,000 miles of California, capturing amazing portraits of the state’s remarkable scenery and seeking out stories about the diverse residents there. This innovative multimedia project features portraits of people and places, along with compelling, provocative stories about the subjects. 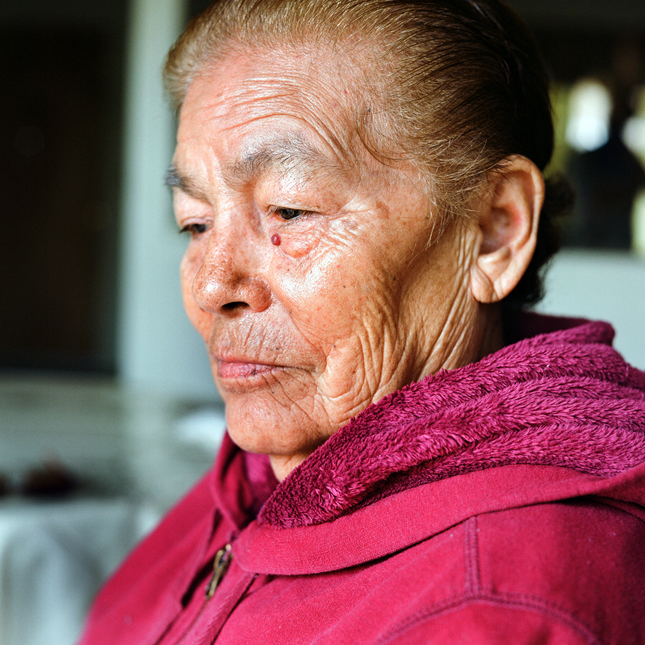 The 20 stories featured in Real Rural highlight compelling struggles and joys of life told from people and families of rural California. What the project tries to capture is the passion of each person featured and their belief in something deeply enough that they scrap, struggle and sacrifice for it. This includes, among others, the story of Guadalupe Diaz, who as a young immigrant to the San Joaquin Valley, lived under a tree with her husband and infant child; Charley Custer, a pot grower who has gone public in order to help return morality to the marijuana industry; and Sebastian, a tiny, nine-year-old boxer who insists he can be a world champion. While the main medium is photography, the images are supported and enhanced by accompanying text, audio, and other storytelling media. A website – www.realrural.org — helps capture the remarkable photographs and accompanying written and audio stories from places Hamilton traveled to and from that most people have never heard of such as Surprise Valley, Lost Hills and Mecca. “There is no reason why rural California matters more than the rest of the state, but likewise there is no reason why it matters less,” Hamilton added. The BART ad-art campaign will be featured on trains throughout the Bay Area through March 2012. 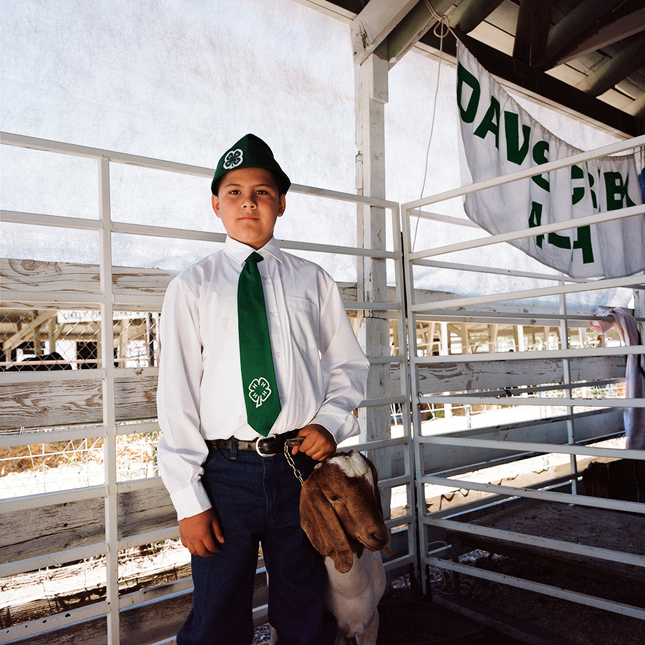 Later this fall photographs from Real Rural will comprise a show at the California Historical Society in San Francisco. There will also be a concurrent ad-art campaign on billboards and public transit in Los Angeles and Sacramento. 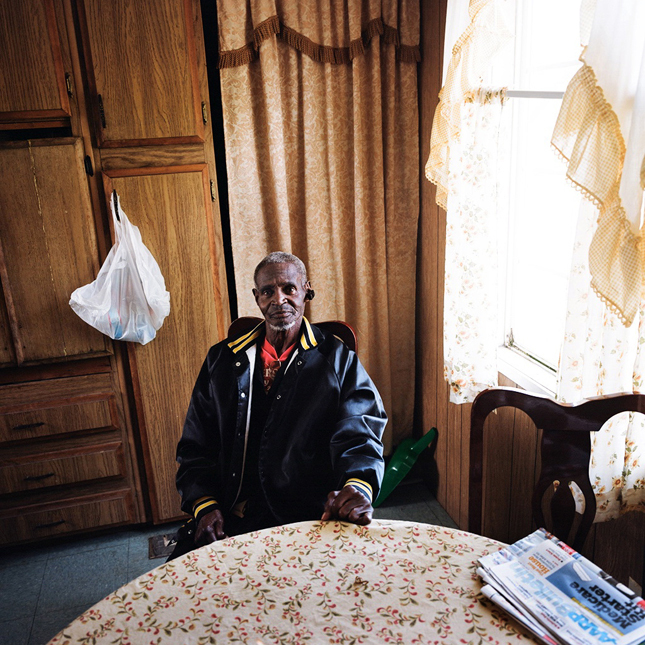 Lee Harris at home. Fairmead, Madera County. For more information about “Real Rural: Stories from the Rest of California” visit www.realrural.org. P.S. Happy Groundhog Day! (it’s a rural custom) See you in the garden, spring can’t be far away.